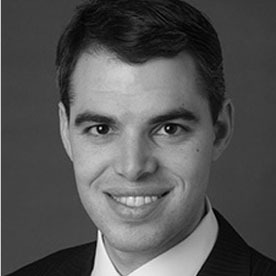 Dan Levin is Chief Financial Officer at Oaktree Capital Management. Prior to joining Oaktree in 2011, Mr. Levin spent five years in the Financial Institutions Group within the Investment Banking Division at Goldman, Sachs & Co., most recently as a Vice President. Prior experience includes a year as a Financial Services Associate at Technoserve, Inc. and two years as a Financial Analyst in the Mergers & Acquisitions group within the Investment Banking Division of Robertson Stephens, Inc. Mr. Levin received a B.A. degree with Honors in Economics and Mathematics from Columbia University and an M.B.A. with Honors in Finance from the Wharton School of the University of Pennsylvania.